A - B - Seymour: Kites and a Daily 3 Math Giveaway!!! Kites and a Daily 3 Math Giveaway!!! Spring is in the air and Spring Break starts TOMORROW! I know my kiddos are ready! :) So this week we made kites to hang out in the hall. However, these weren't just regular kites. They were special kites that helped us learn different ways to show a number. I let my kiddos choose any (two digit) number to put on their kite. Then, on the ribbons my kiddos had to show that number 3 different ways. They used tally marks, addition sentences, subtraction sentences, money, ones and tens, etc. This little boy wanted his kite to look like a race car. Hey- he was on task, focused, and excited about learning....I'll take it! I'm almost up to 50 followers!! I'm so excited about that! So....that means an early giveaway! 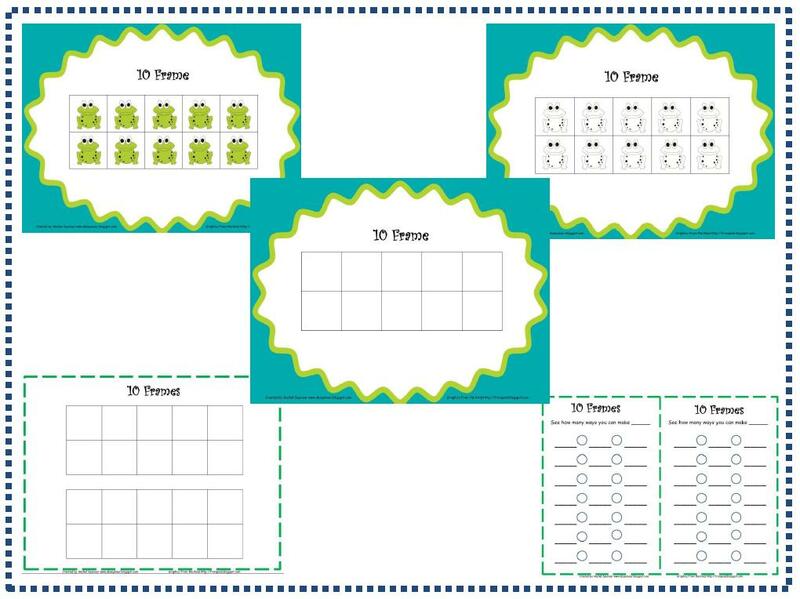 I am working on some math activities/centers/intervention materials to go with the Common Core Standards. In our school, each grade level spends about 40 minutes a day working with intervention/enrichment groups as part of RTI. I am currently working with some kiddos who are struggling with math- specifically number sense. This made me want to create something that would be easy to use with these kiddos, but also something they would enjoy. 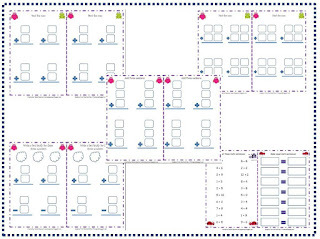 I will also use these activities during my Daily 3 Math Groups. 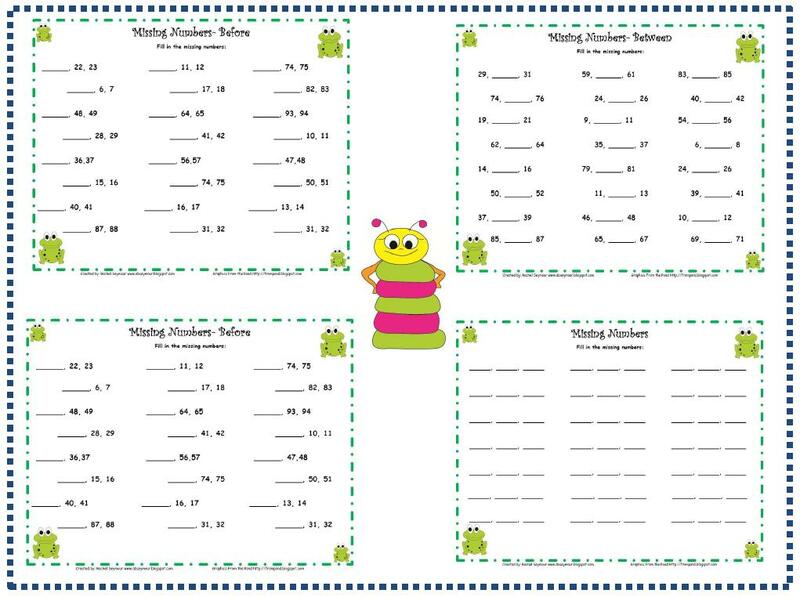 Some pages can be printed and given to students for a quick practice, assessment, or homework. 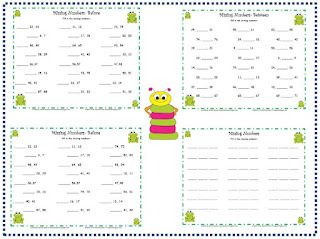 Other pages can be laminated and used over and over with dry erase markers. What first grader doesn't like to use dry erase markers?!?! 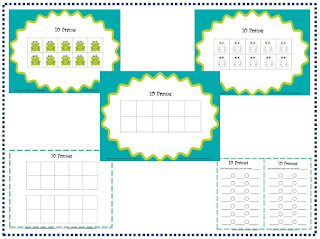 I am also going to include flashcards up to 120 to align with Common Core Standards. 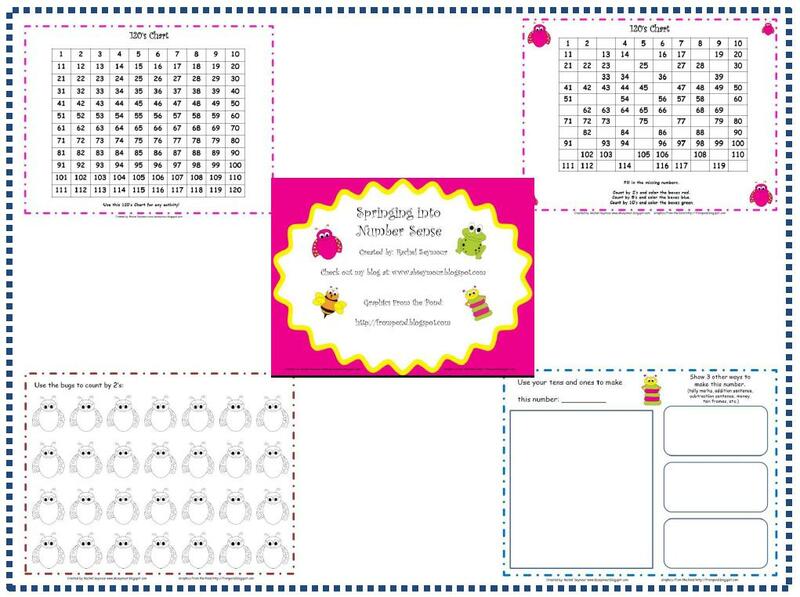 These can easily be used for missing number activities, adding, subtracting, greater and less than, etc. Thanks to Graphics From the Pond for all of the cute graphics! This is just a quick look. I will post it on TpT as soon as it's finished. I am heading out of state for the weekend. 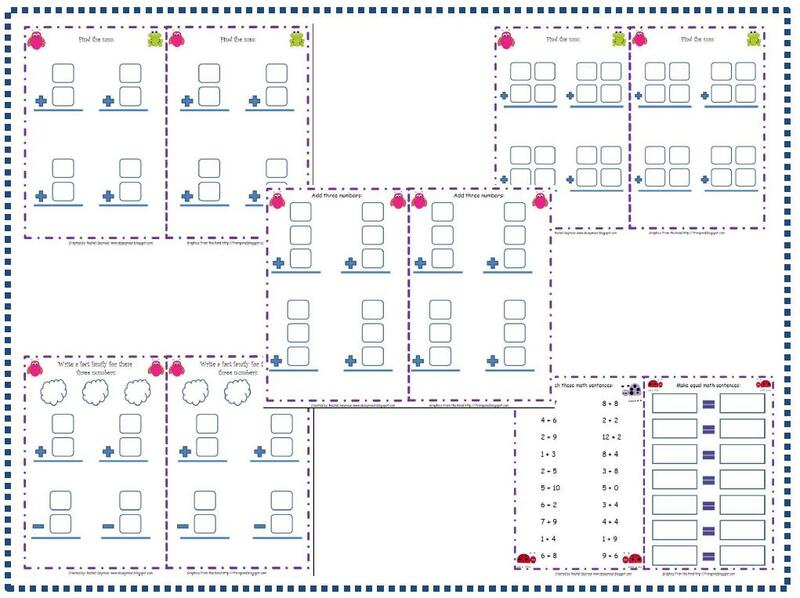 I will be able to finish these number sense activities, but I won't have as much access to the Internet as I do at home so I'm posting it tonight. 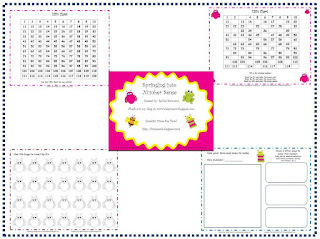 I'll be randomly choosing 3 comments to win my "Springing into Number Sense" pack Monday night. My hubby's basketball team won their last 2 playoff games and Monday night is the championship game so hopefully we will be celebrating! Monday, April 2nd at around 11:00 pm I will randomly choose 3 people to win! I blogged about your giveaway! I'd love to have you follow me! I'm your newest follower on TPT and hope you'll return the favor. I follow your TPT store, and of course I forgot to add my email address in the above comment! I added your button to my 1st grade buttons. I'm your newest follower!! You have such great ideas!! I grabbed your button and put it on my blog roll! Thanks, I'm Famous, and a Giveaway!! Welcome to Blog World and Freebie!